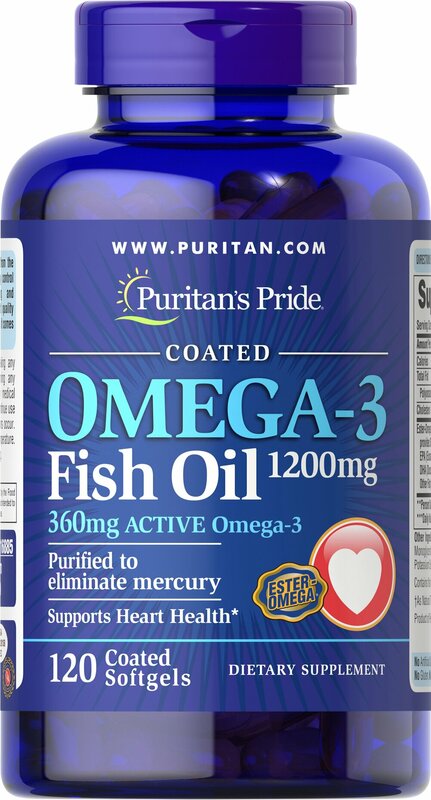 Provides 360mg of Total Omega-3 Fatty Acids. Our Ester-Omega® Omega-3 Fish Oil provides 360mg of active Omega-3, consisting of EPA, DHA and other fatty acids. EPA & DHA fatty acids are “good” fats that can help to balance the "bad fats" in your diet, playing an important role in supporting heart health. ** Purified to eliminate mercury. Coated softgels.